What's In it: Contains 18 mg of USP Estriol per ounce (0.75 mg per 1/4 teaspoon). 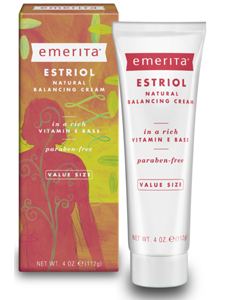 This 4-oz tube of Estriol Cream contains approximately 84 1/4 tsp-applications. What's not in it: No parabens, mineral oil, petroleum or animal anything. And our products are nvever tested on animals.